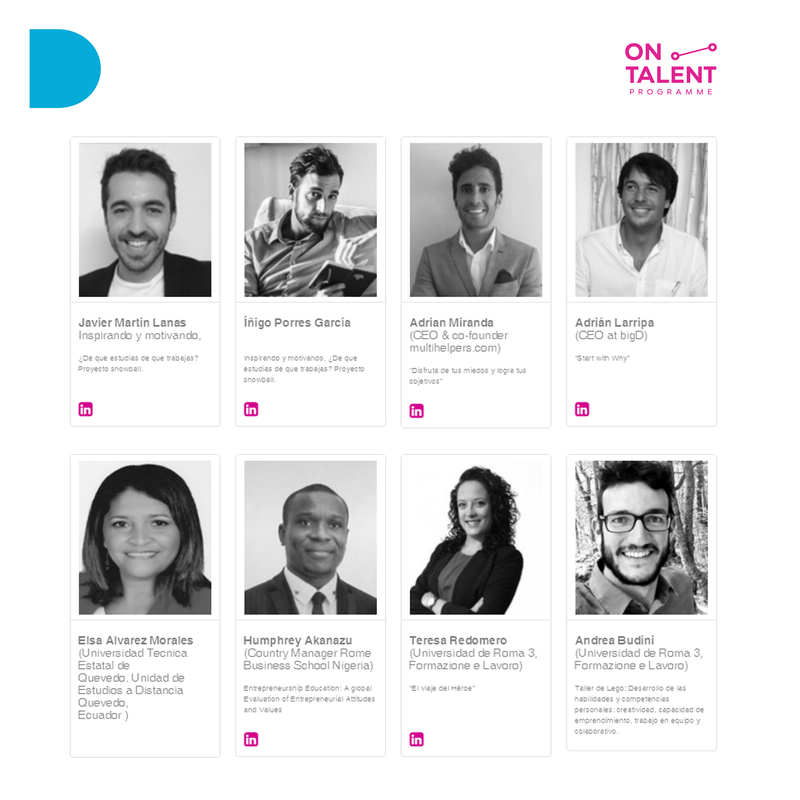 The 2017 edition of the international On Talent Programme is taking place in Pamplona the 4-8th of September and Adrian Larripa, CEO of bigD Design That Matters, will participate as a speaker on it with a speech entitled “Start with Why”. The programme inspired in the “Summer School” format, propose an educational programme in which the participants live together encouraging personal potentialities and linking them together in a holistic way. With the aim to inspire, empower and motivate the participants, the programme includes a wide range of social, cultural, gastronomic and cohabitation activities. The talks, in which Adrian will take place, will be held by influential people in education, entrepreneurship and experts in personal. emotional and professional development.